Pianist/vocalist Marc Hoffman will include jazz, Motown and pop when he performs this Friday, November 9th at 73 & Main, 1467 N Main St., in Mt Pleasant, NC. Marc will perform from 7:30 until 10:00 pm in this restaurant/pub located in an historic mill. "73 & Main is a unique restaurant set in an extraordinary property with superb menu and staff and and I am delighted to be performing," Hoffman said." In addition to performing as a solo artist and with various ensembles across the Southeast and beyond, Marc is a composer working in a variety of genres including film, solo piano, jazz, concert and choral music. He recently completed the score for sci-fi educational series and has a new vocal CD arriving in December this year. Marc's original jazz and concert works have been performed live and on radio across the US and in the UK, France, Canada and The Netherlands. His latest CD, Late September is available at most online sites. Also an author, Marc's Essential Worship Keyboard is published by Emerald Books and a picture book, Sleep, Little Child by Virillion Music Publishing. For more information about 73 & Main visit: http://www.73andmain.com or call (704) 436-2050. 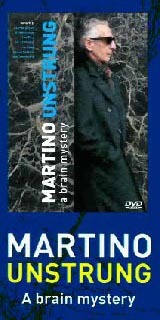 For more about Marc, please visit www.marchoffman.com. Marc's music is available on iTunes, Amazon.com, CDBaby and Spotify. Marc Hoffman received a degree in composition from the North Carolina School of the Arts and studied film composition at Univ. of Southern California. He also attended The Dartington International Summer School of Music in Devon, England. His composition teachers have included John Corigliano, Leo Arnaud, Neil Hefti, and Sherwood Shaffer. 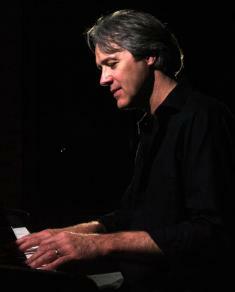 Marc performs across the US and abroad as a soloist and with his trio. A member of BMI and the American Composer's Forum, he is also founder and artistic director of the Salisbury School of Music. Marc lives in Salisbury, NC with is wife, Anne, and their daughter August.
" ‘Hefti' [from the CD Curioso) makes you smile with its delicate riffs and uplifting swing."